Originally published on Women who Live on Rocks as 6 Do’s and Don’ts when visiting the Caribbean. Aaaaah the high season is here. The time when St. Maarteners start practicing their smiles and hellos in front of the mirror. Be ready y’all, the tourists are here! Every winter season St. Maarten and other islands in the Caribbean get a mass influx of visitors arriving from Europe, North and South America and all other continents of the world. Winter season is high season, and we call it high season for a reason: higher tips = higher pays, for some of us in the hospitality industry at least. When you think Caribbean, you think beaches, sun, sand, sea and friendly people and we islanders have perfected the art of friendliness. After all, we have a rep to protect since St. Maarten is generally known as the Friendly Island. However, it has come to my attention in recent years that although we value the arrival of our dear friends from all over the world, our friends don’t seem to know much about us at all. They don’t know what makes us tick, so to speak. 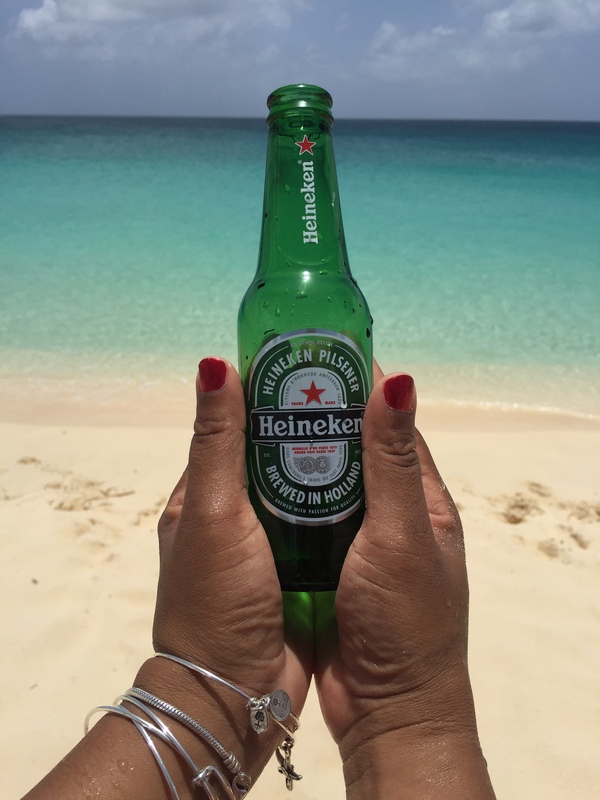 So I’ve decided to put together a list of do’s and don’ts when vacationing in St. Maarten. You can’t imagine how many times I’ve heard tourists trying to speak like locals. “Yeah Mon”…….uhmmm, NO….don’t , just don’t. First of all “Yeah Mon” is commonly used in Jamaica and Jamaica as far as I know does not represent the whole Caribbean. Secondly, you sound silly. I get it. I totally do. It’s hot and our down town area is located near beaches. But seriously, I don’t go to New York City and parade around in an itsy bitsy tiny bikini on a hot day in Central Park, so why do it here? It’s not only a form of disrespect but honestly some people can do with a little covering up, if you know what I mean. There are various little stores and markets about that sell really cute beachwear and pareos or sarongs. Not to mention that there are many fun and fashionable ways of wearing pareos nowadays. For all of our sakes, just say yes to the beach dress. I cannot express how important this is. I remember one time I came into the kitchen after school an asked my mom what’s for lunch. I got a slap so hard, I swear I saw stars. Why? Because I did not wish her Good Afternoon first. No, this is not child abuse but a common practice in the Caribbean called “educating your child”. Before asking a local a question or when entering a store or restaurant start with a hello. It is considered extremely rude not to do so. I know it is not part of some cultures and I can count on one hand how many responses I have received when I said good “whatever time of day it is” in a crowded elevator in the US. We local St. Maarteners also say random hellos to people we pass on the street whether we know them or not. If we pass you on the beach during a morning stroll it is common to say Good Morning. St. Maarteners are incredibly helpful people but also very proud. You will see that starting off a conversation or question with a greeting makes a world of difference and you might get a complete different reaction than if you had gone the other way. Bonus point: don’t forget to conclude with a “Thank You”. We complain enough about it ourselves. Our produce, meats and other random things surely are more expensive than where you’re from. But remember that we live on a rock where everything aside from fish and coconuts are imported. Our internet is also very very slow compared to the luxury you all seem to have of 50+ MB’s (serioulsy, I’m jealous) but here you can drink an ice cold Heineken while sitting in the crystal blue waters of our beaches. It’s all a matter of perception. Yes, we do have cows here. No, we don’t have a bridge connecting us to Puerto Rico. Yes, there are white islanders (my husband is one of those and calls himself a Coconut Honky) and no, not all black people are local. Yes, we too get hot sometimes and at no time became used to the heat and finally yes, we do have schools here. Duh! Before visiting read up a little on our island. We have very interesting and fascinating (hi)stories. In this day and age of Google and other search engines it is a shame not to do some minor research on St. Maarten before your arrival. We have a meteorological department for that. In my event planner days I used to get asked a lot if it is going to rain later or if tomorrow will be sunny (St. Maarten has overall the same forecast depending of course of the time of year: Sunny with a chance of rain) I came up with the only logical answer I could think of: Let me send GOD a Whatsapp and I’ll get back to you. Really, what else can I say? There are however some great weather sites and phone apps that can give you quite accurate forecasts. If I can give you one piece of advise though, it’s this: Don’t stress about the weather. You do that at home already. Rain or shine, you’re in paradise. Enjoy it while you’re here. This post was not meant to insult anyone in general or in particular. I am merely pointing out our differences and in doing so giving you, our visitor a better understanding of our culture. Check back for more posts on island living and my island adventures. Leave a comment, share this post or just like it. Whatever you do, a little feedback always helps. Don’t forget to love, laugh and travel. You should send this to all the cruise lines-maybe they would pass it around to the passengers-I ‘ve read it before and found the tip of greeting the staff in stores before making your request most helpful. Enjoyed your article, very amusing. You have a writing gift. Do more. Thank you, Dan. That means a lot. Happy Holidays. 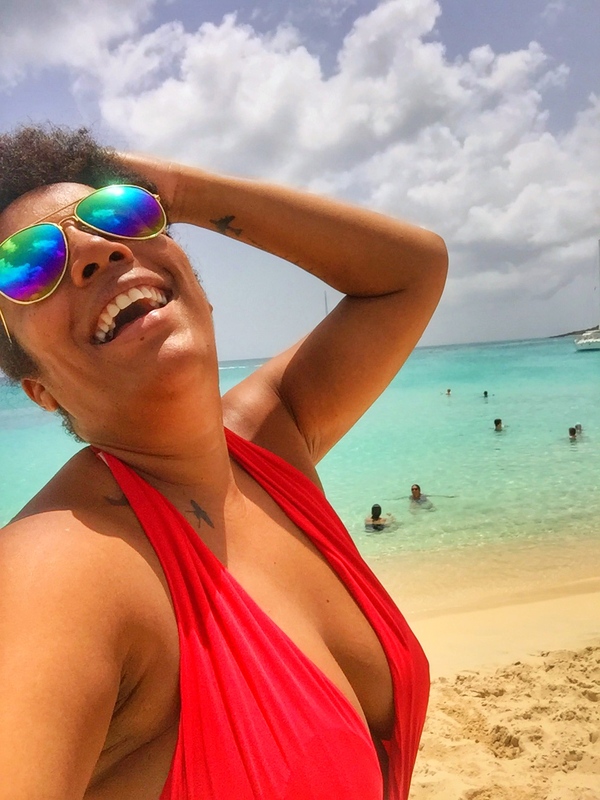 This is a great piece & made me nod my head and laugh….I visited St Maarten in November and coming from Barbados I was pleased at how at home I felt. The Caribbean truly has so much more in common than things that separate us. Thanks Santini. Must visit Barbados soon. Happy Holidays. Thanks for all of the good reminders! While I hate going to the bank in Philipsburg, I love how everyone that walks past the line says “Good Morning” to everyone. It would be great to have more of that in the US. Is a French side to St. Martin, which in my opinion is the beauty of St. Martin. No casinos, bordellos, no time shares.